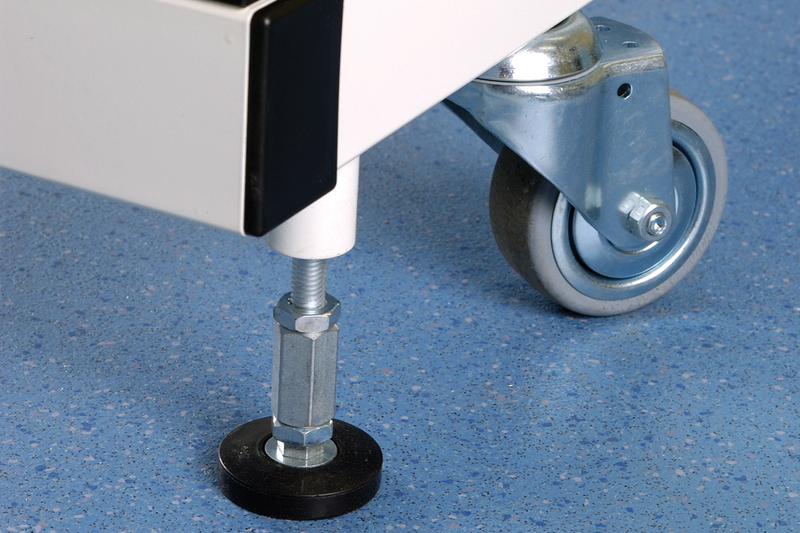 Sturdy epoxy coated support frames are fitted with braked mobile castors for repositioning, and site levelling feet to ensure stability. 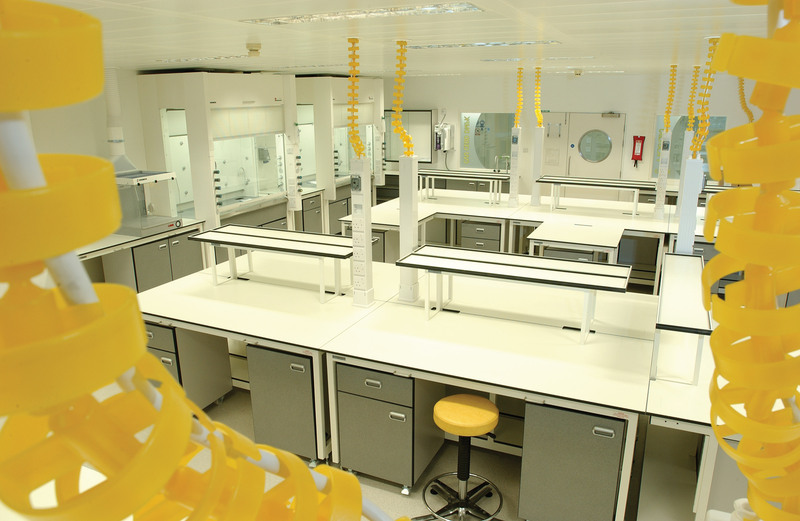 Chemically resistant worktops are offered with pre-machined, rebated cut-outs, which are designed to accept optional service poles or cable access. A rear adjustable tray provides a solution to under-bench cable management. 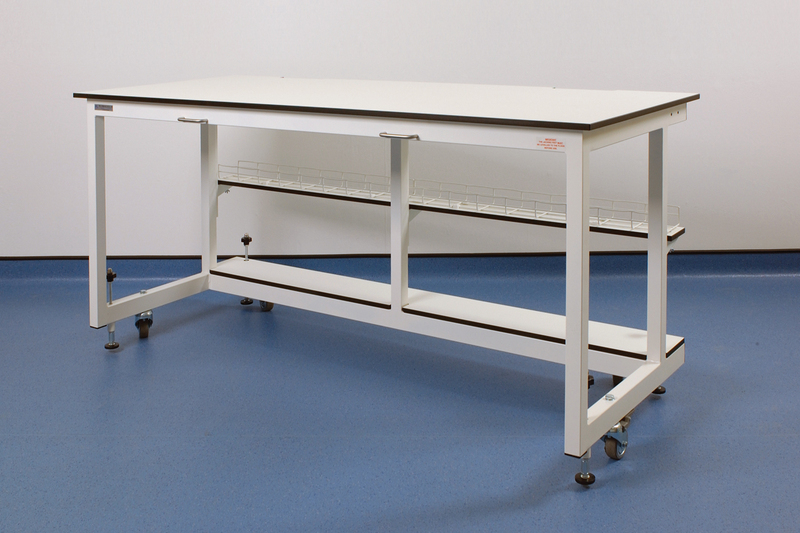 A range of modular sizes are available in 750 (Narrow), 900 (Standard) and 1200mm (Double sided) bench depths. 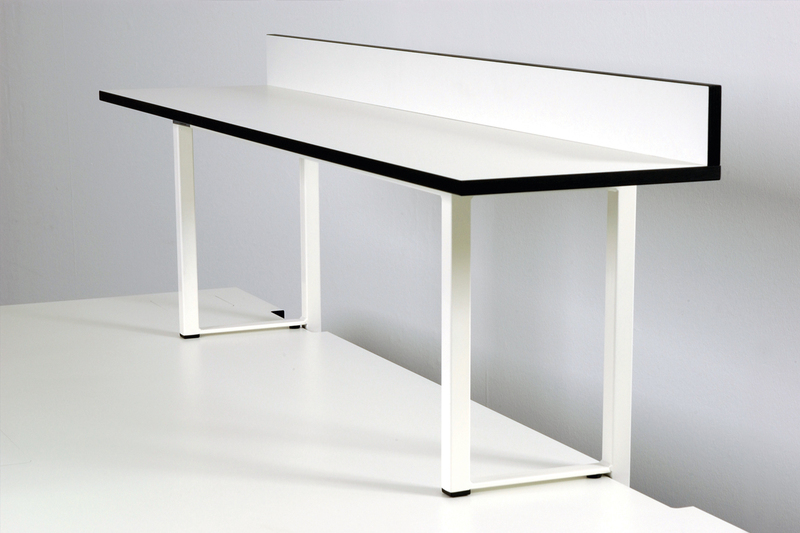 Standard bench widths are 900, 1200, 1500 and 1800mm with bench heights 900 (standing) and 750mm (sitting). Optional adjustable rear shelf with cable basket. 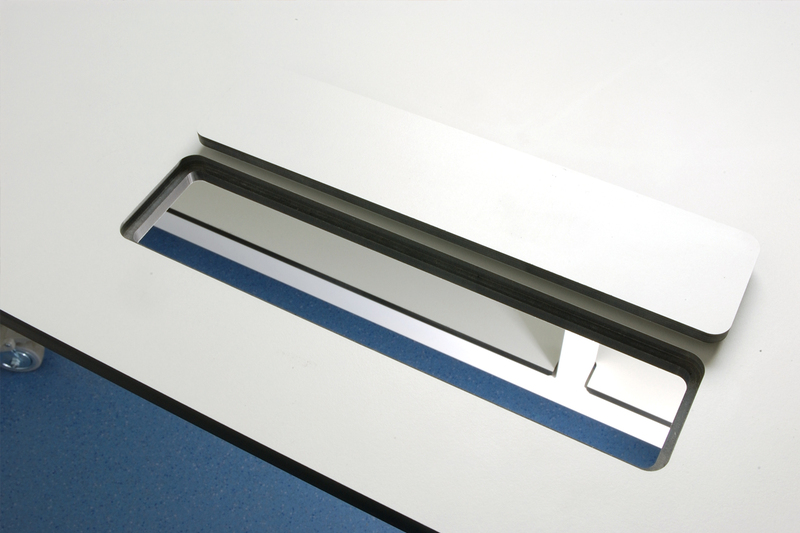 Optional rebated rear worktop cut-outs for power poles located on the right and left hand side for full flexibility. Supplied with flush rebated covers. 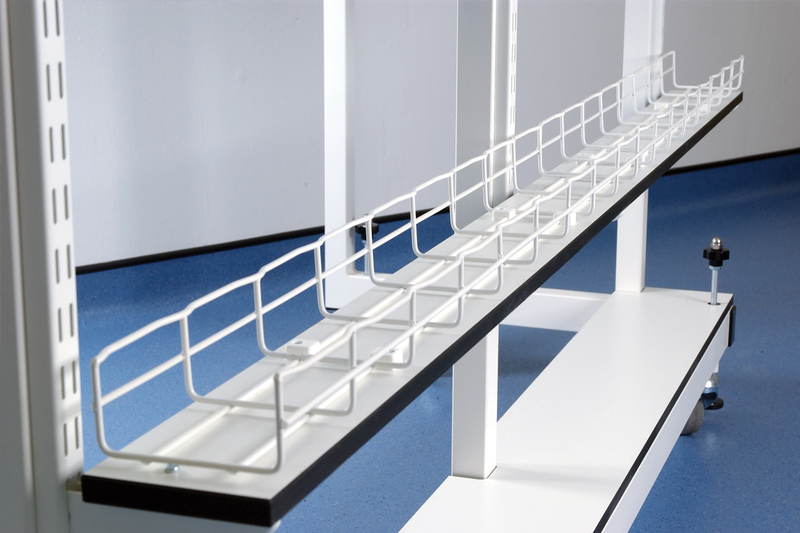 Optional removable rear reagent/storage rack. 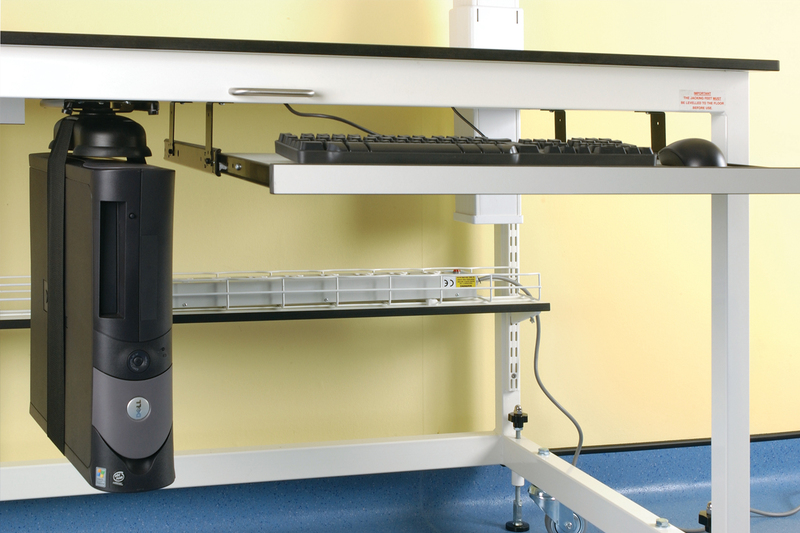 The work station is fully re-locatable with integrated mobile castors and heavy duty site levelling feet. Optional rebated central front cut-out for cable/ tube management. Supplied with rebated flush fitting cover. 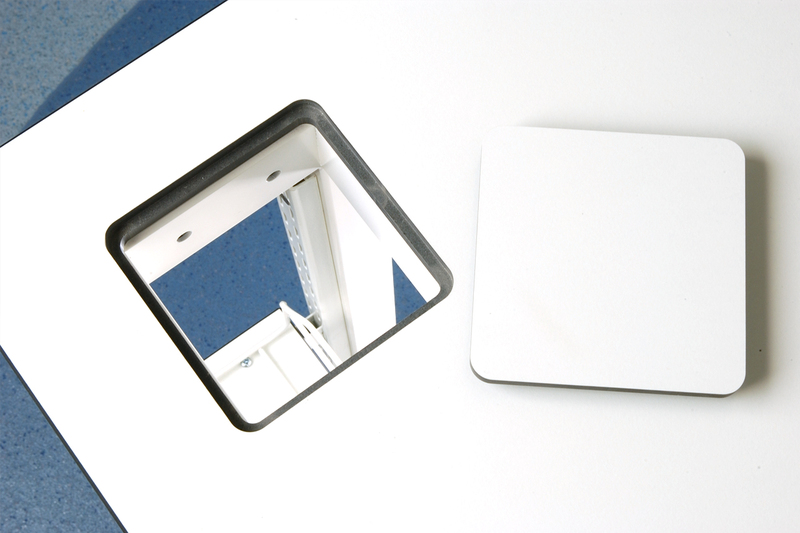 Optional CPU holder, pull-out keyboard tray and a range of monitor brackets are available.